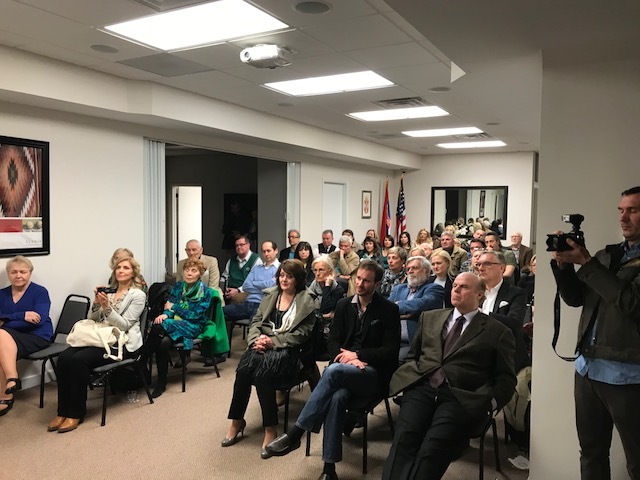 Documentary film "Second Meeting" was screened at the Consulate General of Serbia in Chicago. The film shows an encounter of the American pilot of the F117A plane who was shot down over Serbia during the NATO bombing and officer of the then Yugoslav Army. The film won awards in the USA, as well as at several international festivals. It was also shown at the UN headquarters, as well as at the US Congress. Following the screening of the film, the Acting Consul General Dejan Radulovic introduced Zeljko Mirkovic, honored guest and author of the film, who spoke about the film and answered questions from the audience. A cocktail reception was held following the screening of the film and conversation with the author.